World champion John Higgins suffered a shock exit at the Australian Goldfields Open as unheralded Matthew Selt beat the Scot 5-4 to reach the last 16. Essex cueman Selt, ranked 43 in the world, had never previously gone past the last 32 of a ranking tournament but came from 4-1 down to triumph. "Maybe it's because I haven't put in the hours practising," said Higgins. Another upset saw world number six Ali Carter go out at the same stage with a 5-3 defeat by Marcus Campbell. 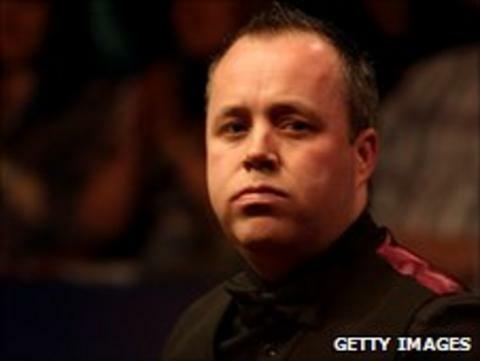 Higgins admitted after his defeat that his preparation had not been good enough. "It doesn't matter if you're world champion or world number 300, you need to put the work in and if you don't, you don't get anywhere," he said. Home favourite Neil Robertson enjoyed a routine 5-2 win over Nigel Bond. The 2010 world champion compiled runs of 59, 53 and 48 on his way to a comfortable win over the veteran Englishman. Mark Allen, one half of the Northern Ireland team beaten by China in Sunday's World Cup final, saw off Wales' Ryan Day 5-3 in a high-quality encounter. The 2005 world champion Shaun Murphy, meanwhile, became the first player through to the quarter-finals with a 5-1 victory over Rory McLeod. Australian amateur Steve Mifsud, who played alongside Robertson at the World Cup last week, fell 5-2 at the last-32 stage to Welshman Dominic Dale. This is the first ranking event to be staged in Australia.